Protect yourself and your family from infection by pathogenic germs. With the IMPRESAN Hygiene Spray, you can disinfect surfaces and textiles reliably and eliminate more than 99.9 per cent of specific bacteria, fungi, and viruses. Where there are many people, there are many germs. Protect yourself from pathogenic germs quickly and reliably with the IMPRESAN Hygiene Spray. It eliminates germs, among other things, that cause diarrhoea, measles, mumps, or the flu. 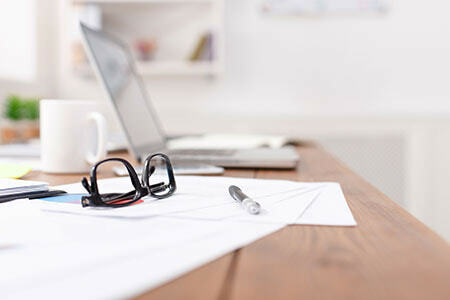 Use the spray at home and in the office. It quickly disinfects surfaces and objects in your household, shoes, as well as carpets and upholstery, without leaving any residue. For reliable hygiene, observe the instructions for use as well as the application times. of specific bacteria, fungi, and viruses*, which can cause influenza, pneumonia, or diarrhoeal diseases. For reassuring healthy hygiene. With the Hygiene Spray, you can disinfect small surfaces quickly and reliably. Not everything can be washed. In these cases, this spray ensures healthy hygiene. Protect yourself from re-infection with athlete’s foot. 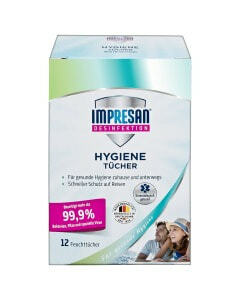 A good feeling: with IMPRESAN products, you ensure healthy hygiene at home and on the road. Spray on precleaned, wipeable surfaces or objects until completely covered. Allow to take effect for at least 30 seconds to eliminate any bacteria. For maximum effect, leave to work for three minutes. Not suitable for the disinfection of larger areas. Not suitable for alcohol-sensitive materials such as acrylic glass. Test for colourfastness in an inconspicuous area. DANGER: Highly flammable liquid and vapour. Causes serious eye irritation. If medical advice is needed, have product container or label at hand. Keep out of reach of children. Keep away from heat/sparks/open flames/hot surfaces. – No smoking. IF IN EYES: Rinse cautiously with water for several minutes. Remove contact lenses, if present and easy to do. Continue rinsing. Store in a well-ventilated place. Keep cool. Dispose of content/container in compliance with local and national regulations.